Extended Deadline for Florin Awards Europe 2019 – Call for Candidates! In response to market requests, the deadline for the Call for Candidates for the Florin Awards 2019 has been extended until 31 March. Discover more about the awards here and don`t miss your chance to showcase your expertise and gain industry recognition as a leader in compliance, fintech or regtech. 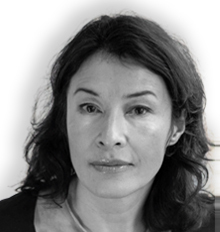 Based in Brussels for the past 16 years, Monica Monaco is the founder and managing director of TrustEuAffairs. TrustEuAffairs advises its clients on Eu legislative relevant initiatives. Monica is a member of the Society of European Affairs Professionals (SEAP) since 2004, and served as a member of the SEAP Board from May 2012 to May 2015. 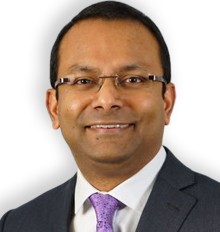 Subas Roy is the Chairman of the International RegTech Association and drives its vision, mission and purpose. He has served as the global RegTech practice leader in a professional services organisation and has led several global digital risk and compliance transformation programmes over the past 20+ years. Mélisande Mual is publisher and owner of The Paypers, a global leading source of news and analysis for professionals in the global payments and ecommerce community. Mélisande has extensive experience in driving growth of international software and media companies successfully in an increasingly social and mobile world. Prior to The Paypers, Mélisande held several leadership positions in global media (Wolters Kluwer) and telecommunication (KPN) companies. Harry is a financial services marketing and positioning strategist. He previously worked at Banque Paribas and ABN AMRO and was a director at two leading strategic consultants. He is a leading contributor to innovation in the retail and corporate payments and transaction space. He has also been involved in developing solutions in financial planning, international pensions and ‘social innovations’. The Florin winners will be announced during the Florin Awards Ceremony, part of this year’s edition of the European Payment Summit in the Hague.